Last year the now 6th grade class raised money to donate to the www.bigbrothermouse.com organization. Below is a thank you letter we received from the organizers and some nice pictures showcasing how those donations helped the children of Phonsaat Village. 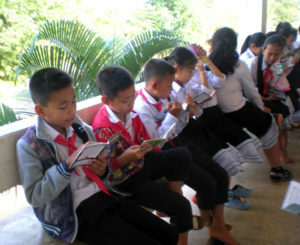 Today, every student in Phonsaat Village will be enjoying a book during their school’s new reading time. Until now, most of these children had probably never even seen a book except perhaps a textbook, and had never read a book for enjoyment. Some didn’t even know such things existed. With your help, we’ve set up a reading program in the primary school here. 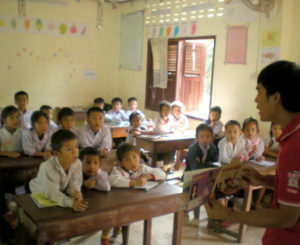 Many of these children won’t be reading at first; reading skills are very weak, because they have so little practice. 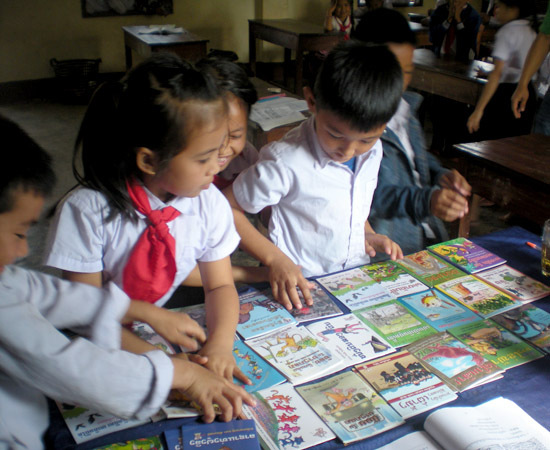 But now, with the very easy books that we provide, those skills will improve. 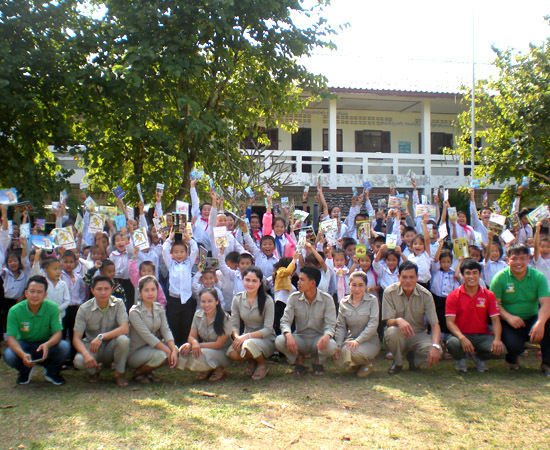 To start off the new program, we held a book party for the children. (We combined the donations from 2 sponsors for this event.) The village itself is also contributing. Here are a few pictures from that day. Our website, as you probably know, tells more about what we do at a book party, and about our reading program. At the end of the party all the kids got to select a free book of their own, nearly always the first book they’ve ever owned. Then we left a set of books for every classroom, so they can have a reading time every day. We left a total of 721 books. 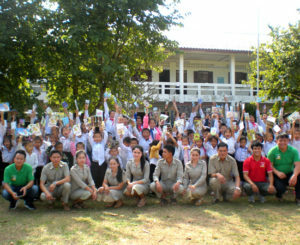 We also do followup visits with each school, to be sure the program gets going well. It was an exciting day for all of the children, and we know they will always remember it — both because they had fun, and for the magic of opening a fun book for the first time. And now, they can begin to develop a habit of reading every day, and discovering the new world that opens up. We invite you to put a link to this page in appropriate places – on a website or FaceBook page, for example. Your example will encourage others. From all of us, thank you for making it all possible!